Don Lines – 65lb 6oz. 1st – Don Lines – 65lb 6oz (p21). 1st – David Mcgregor – 30lb 10oz (p10). A lovely mild day with a gentle breeze and bright sunshine for a good part of the match. 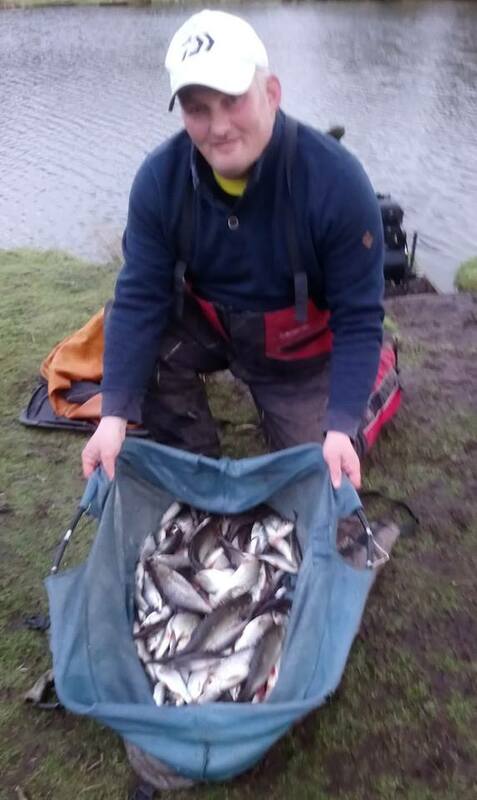 15 anglers turned out, making the most of the ” Spring-like” conditions.! Some nice nets of fish caught in all 3 sections today on a variety of methods. 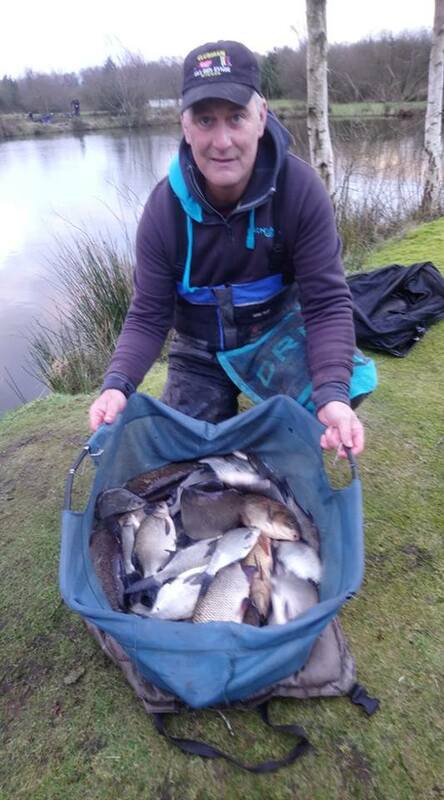 Queensberry Water section 1 was the place to be today for the best nets of fish… And fish of a better stamp too. Don Lines finished on top winning the section and overall match with a superb net of skimmers and a few ide, all caught on maggot/pole for 65lbs 6oz. Gerry Blythe finished 2nd in section with a weight of 45lb 5oz… Again mainly skimmers and ide – – a weight you’d normally win in winter with.!! 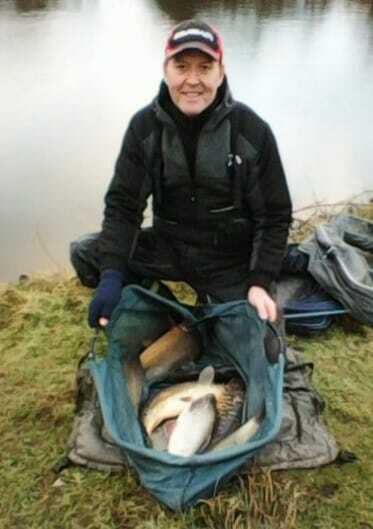 Bruce’s Acre section was a close one, with carp featuring in most of the weights recorded. 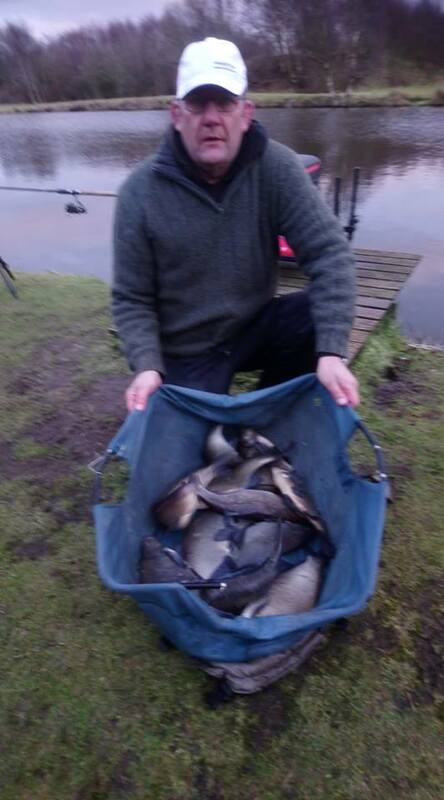 David Mcgregor won the section with 30lbs 10oz, narrowly beating Steve Royle by a mere 4oz who’d weighed in 30lb 6oz.!! David landed a big carp late on, on the tip rod to tip the result in his favour… Its never over til its over.! 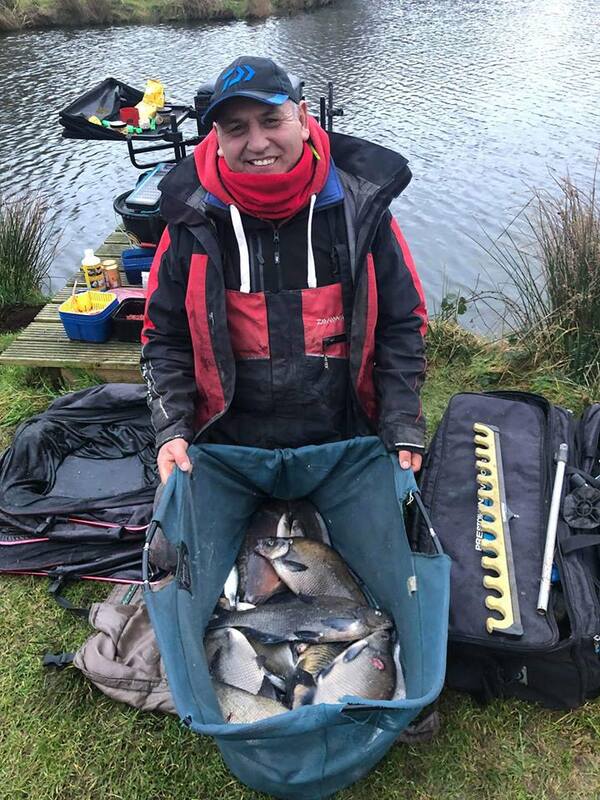 Queensberry Water section 2 was a busy day for some on the smaller fish… And Barry Young had led the pack for most of the match catching around 100 roach and small ide on the waggler with maggots, and a few big roach and gudgeon on his short pole line. But similarly to the Bruce’s Acre section… One Angler left it late to put on a last gasp effort. Mark Gordon had sat for 5 hours, one bite and one carp at 4 pm… But coming off his pole line to switch back to the feeder rod was a shrewd move. 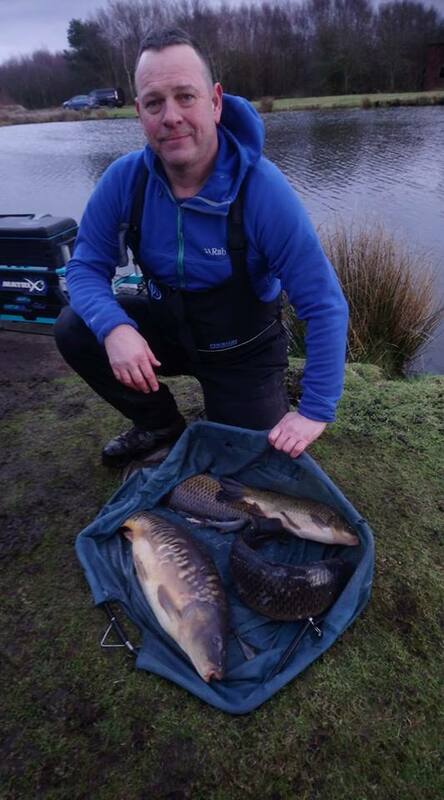 Mark had 3 carp in the last 30 mins which included one about 8lbs… His 4 Carp weighing 23lb 12oz… With Barry’s 100 + net of roach going 19lbs 10oz. Well done Mark. Your patience eventually paid off today.!! All in all some great nets of fish, nets you’d be pleased with in early summer… Well done everyone.